Bernstein Liebhard LLP is a leader in litigating cases involving dangerous drugs, defective medical devices and consumer products. Our user-friendly website is an information and resource center for individuals and their families seeking assistance with their litigation needs. Recent studies suggest that patients who use proton pump inhibitors for a long period of time may be more likely to develop serious kidney side effects. 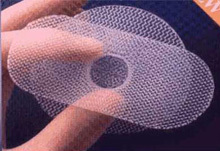 Hernia mesh lawsuits accuse device manufacturers of failing to properly test their products or provide doctors and patients with adequate warnings regarding their risks. In May 2017, the FDA confirmed a link between the use of canagliflozin-containing medications and an increased risk of lower limb amputations. Bernstein Liebhard LLP is a New York-based law firm exclusively representing injured persons in complex individual and class action lawsuits nationwide since 1993, including those who have been harmed by dangerous drugs, defective medical devices and consumer products. 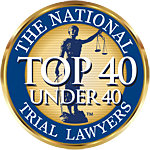 The Firm has been named by The National Law Journal to the “Plaintiffs’ Hot List,” recognizing the top plaintiffs’ firms in the country for thirteen years. Our trial attorneys have handled hundreds of cases on behalf of injured consumers and shareholders, recovering over $3.5 billion for our clients. We have achieved this level of success for our clients by bringing together a unique array of talent. Our ranks include former attorneys with prominent national law firms, former prosecutors, former regulatory attorneys, former U.S. Circuit Court of Appeals law clerks, former U.S. district court law clerks, in-house investigators, and other expert staff. In short, when we face off against large corporations, their attorneys and their insurance companies know that we are experienced, trial ready and go the extra mile to bring home wins for our clients. And our clients rest assured that their rights are being protected by highly experienced counsel. 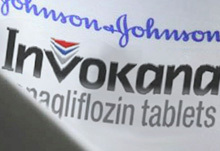 Among other claims currently being investigated and evaluated by the Firm, which involve a widely array of dangerous drugs, medical devices and consumer products on the U.S. market, our attorneys are actively pursuing testosterone lawsuit claims on behalf of individuals who may have been injured by one of several “Low T” treatment therapies. These hormone-raising medications may be associated with the risk for heart attacks, strokes and other serious cardiovascular side effects. 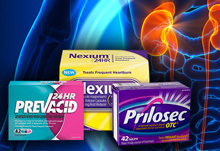 Bernstein Liebhard LLP is also evaluating potential legal claims involving serious kidney injuries and proton pump inhibitors, including Nexium, Prilosec and Prevacid. Recent studies have linked the long-term use of these popular heartburn drugs to a number of serious kidney side effects, including kidney failure, chronic kidney disease, acute kidney injury and nephritis. You may be entitled to compensation for medical bills, lost wages, pain and suffering, and more if you suffered kidney damage that could be related to a proton pump inhibitor. Bernstein Liebhard LLP offers free legal reviews to those harmed by prescription and over-the-counter drugs, including Nexium, Prevacid and Prilosec. If you would like to discuss a case with our legal staff, please visit our Nexium Lawsuit Center.